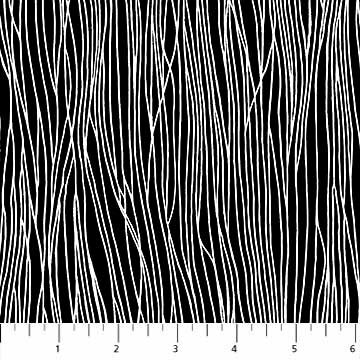 Black with white wavy lines. From the Black & White With a Dash of Color collection from Northcott Fabrics. 100% cotton. 44"-45" wide.